A Border Patrol agent shot and killed near the U.S.-Mexican border was lured into a trap by his killers who wanted to steal a pair of night vision goggles according to a plea agreement reached with one of the men charged in the shooting. Agent Robert Rosas spotted a suspicious group in the remote Campo area near the Mexican border July 23, 2009. He called for backup but when the suspicious group split up, Rosas went after some suspects by himself. Other agents heard gunshots and found Rosas shot four times in the head on Shockey Truck Trail in Campo. He was also shot once in the neck and three times in the torso. In a plea agreement filed in San Diego federal court Monday, Emilio Gonzales explained how he and two others crossed from Mexico to a remote area in east San Diego with plans for the ambush. 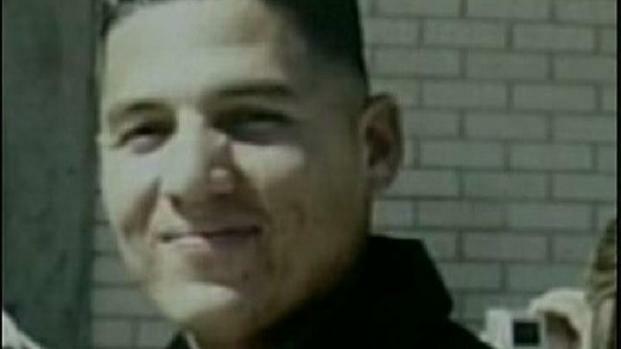 U.S. Border Patrol agent Robert Rosas was killed near Campo in July 2009. Now, two years later, one of the suspects admits he and two others crossed from Mexico into the remote area intent on stealing a pair of night visition goggles. A theft that went horribly wrong. Mari Payton reports. Gonzalez said the group lost a pair of night vision goggles used to smuggle immigrants and drugs into the U.S.
To replace the goggles, they hatched a plan to steal another pair from a U.S. border patrol agent. Agent Rosas happened to be the group's target that night. Jesus Navarro killed Luis Aguilar near Yuma, Ariz., as he was setting down a "spike-strip" to stop the suspected drug trafficker from fleeing. 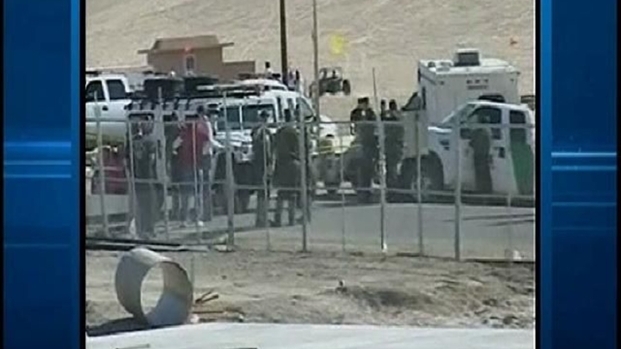 The men left footprints in the dirt to lure a border patrol agent into a trap. According to documents, the trio held Agent Robert Rosas at gunpoint. Rosas fought back, a gun went off and the agent was killed. Gonzales is the second person to admit his guilt. Christian Daniel Castro-Alvarez, 17, pleaded guilty to one count of murder of a federal officer in the commission of a robbery in November 2009 and is now serving a 40-year sentence. Two others are in custody tonight in connection with the shooting. José Luis Ramirez-Dorantes is suspected of serving as an armed lookout in Mexico during the robbery. Marcos Rodríguez-Perez worked with Castro-Alvarez and Gonzales to lure Rosas away from his vehicle. Jose Juan Chacón-Morales is still on the loose. He is considered to be armed an "extremely dangerous" officials said. Chacón-Morales, 26, is described as being 5-foot-9, 175 pounds with black hair and brown eyes. The Mexico native has tattoos on his back, chest and left shoulder. Authorities are offering an up to $100,000 reward and ask that anyone with information contact a local FBI office, nearest American Embassy or Consulate, or call 1-877-EZ 2 Tell.